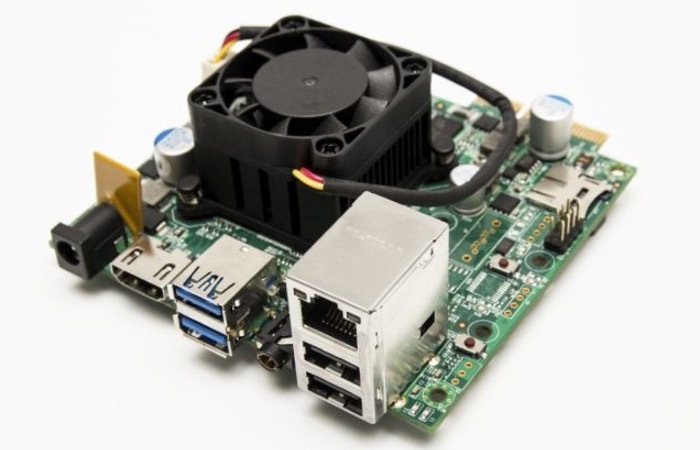 GizmoSphere has this month launched a new single board mini PC which is equipped with an AMD Embedded G-Series System-on-Chip (SOC) supported by AMD Radeon HD 8210E discrete-class graphics. The combination of hardware on a single board provides users with a 85 GFLOPS performance while drawing only 9 watts TDP and offers 1GB DDR3-1600 SDRAM and HDMI Video/Audio Output to create embedded systems. The AMD GX-210HA dual-core processor is combined with the AMD Radeon HD 8210E discrete-class graphics and supports DirectX 11.1, OpenGL 4.2x and OpenCL 1.2, enabling parallel processing and high-performance graphics processing. Operating systems that can be installed on a single board mini PC include Windows Embedded 8 and Linux. Other features include mSATA/mini PCIe Connector, microSD Card Slot, Onboard Gigabit Ethernet and 2 x USB 3.0 and USB 2.0 ports. For more information on the new Gizmo 2 mini single board PC jump over to the Element 14 website for details and to purchase priced at $199 or £124.